Datta Irrigation focuses its energies on simplifying cultivation process for farmers and empowering them on the road to prosperity. We understand that most farmers in India hold fragmented land pieces smaller than 1 acre without an independent source of water supply and electricity. Such conditions make crop cultivation a daunting and challenging task for them. 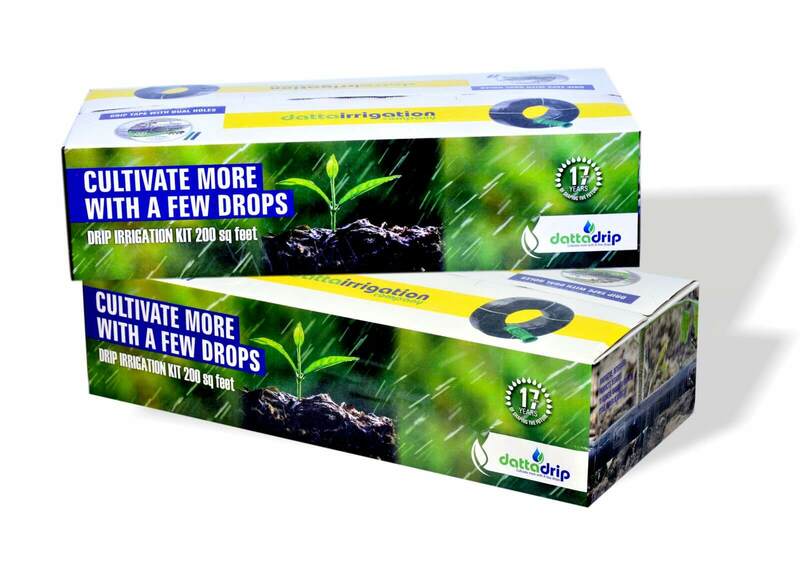 Keeping this in mind Datta Irrigation launched Drip Kits that promises to revolutionise the way small farmers operate. Working around their constraints this drip kit is designed to operate on gravity pressure. It works towards maintaining favourable soil moisture conditions to the plants which results in good growth & bumper yields. Most beneficial for small farmers holding scattered and tiny land holdings. Ideal for vegetable, cereal, pulses and cotton cultivation. Dynamic use in open fields, Green house, kitchen gardens and nurseries. Most appropriate for hilly terrains where land holding is uneven and small. A great back-up irrigation tool in rain-fed area or water scarcity region where regular rainfall is not available. It is eco-friendly and inexpensive as needs no electricity. It is simple, scientific and easy to install and operate. The Drip kit is a portable system which can be effortlessly shifted and used on more than one piece of land.